For those of you who never had a look inside a pickup, I remind that the gauge used for the wire is very, very thin, really like a hair... You can't have a drink before working there... But you can attempt this before rewinding if you have a dead pickup. 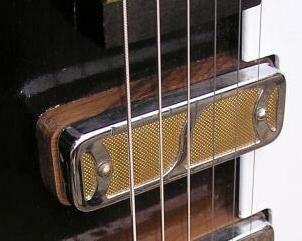 I wonder how many of these pickups in our guitars are weak and just need the gentle iron touch... to go back to strong and gold tone ! I had a "Hershey bar" bridge pickup from a Silvertone that was very weak in output and sound, compared to its neighbour from the neck. After removing the pickguard and unsoldering, I measured the pu's : some 3.5k ohms for the neck, and some "variable" 40k or nothing for the bridge (I read here on this forum that 3.5k is the normal resistance for these kind of pu's). 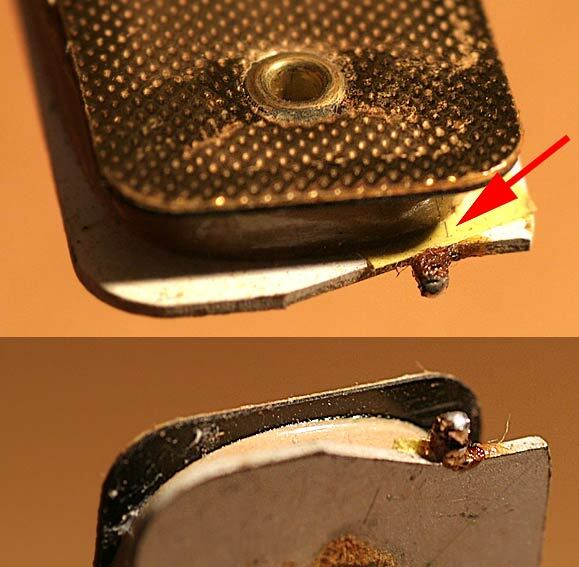 After dismantling the Hershey from the Silvertone, it was a different story from the Golden tone above : no visible soldering of the inner side of the coil... 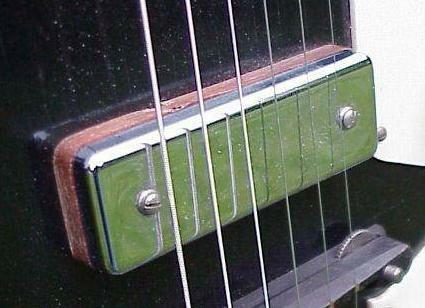 The more I was opening the pickup, the less resistance I had, to a completely open coil at the end... I was scrutering the thing and touching everywhere to locate anything, and at a point I had a low resistance again ! I understood the problem was (again) the inner end of the coil, having a bad ground connection. But how to repare the connection *inside* without un-wounding the coil ? I made a choice : to cut one of the very inner coil, and routing it directly to the ground connection of the outer wires, on the base plate... This way, I loose some of the inner turns, but very few of them I believe, by choosing a turn very close to the magnet. Check the photos below. The coil is wounded counter-clockwise (like the red schematic), because of the outer end connection. So I choosed the place where to cut the wire, to have enough length to route it to the soldering point. I had first to remove the enamel from the wire, to be able to solder it. Hence the sanding paper... It's a 600 grade water sanding paper. 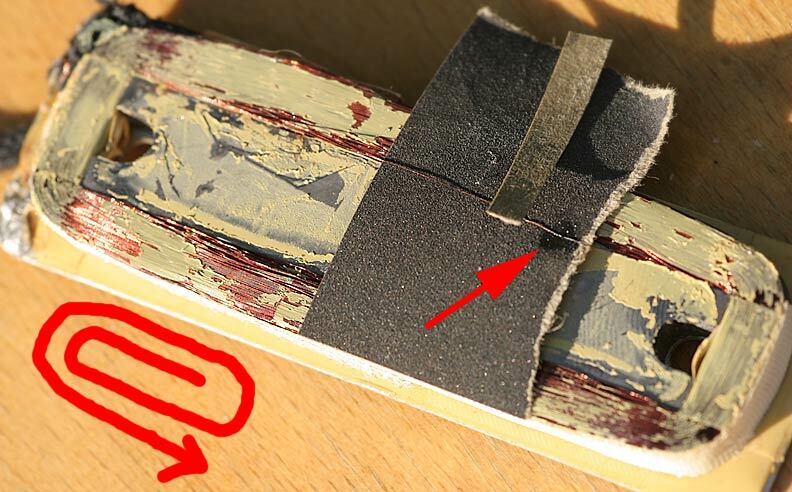 First photo shows where I cut and sand the wire (red arrow shows where I sand and put some solder before cutting). 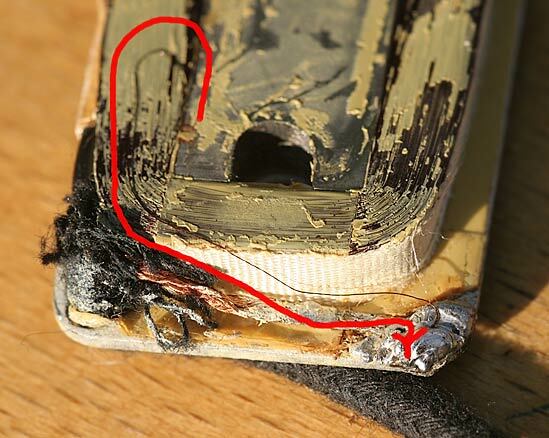 Second photo shows how I carefully routed the wire to ground (parallel to the red line).